During the time I stopped eating dairy the thing I missed most was cheese. Those of you who follow my blog know how much I love cheese and how often I cook with it. I tried several different dairy-free style cheeses and by far the best one I found was Daiya. It melts better than some of the other brands that I tried and quite honestly it’s the only one that tasted close to the real deal. When the folks at Daiya sent me some coupons to use toward developing a recipe I knew immediately I wanted to try my hand at an appetizer. For me, this was when I found giving up dairy was the hardest. I love a good cheese plate in addition to cheese spreads or dips to munch on before dinner or to serve to family and friends whenever there is a gathering. For one wishing to avoid dairy my appetizer options became very slim. 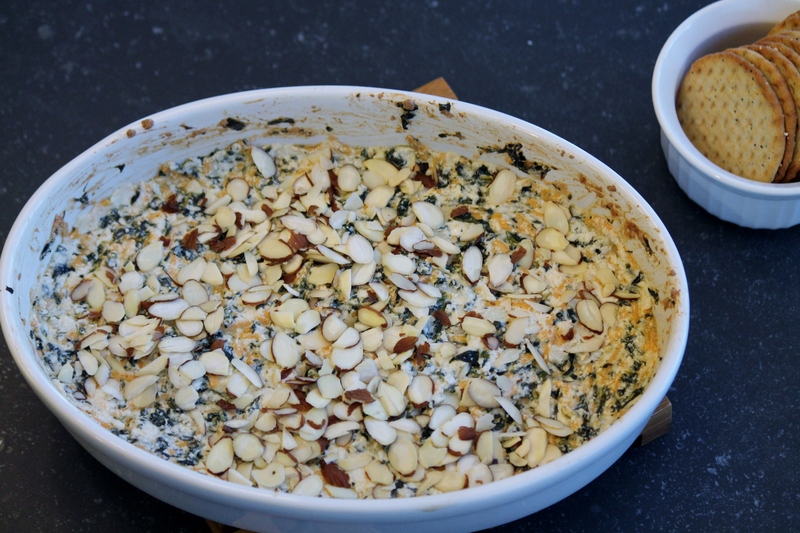 I was beyond impressed with the way this creamy spinach and almond spread turned out. I had several different taste testers and it was a hit with every single one of them. When I let them in on my little secret of using dairy-free cheese they were all impressed with how “cheesy” it was. 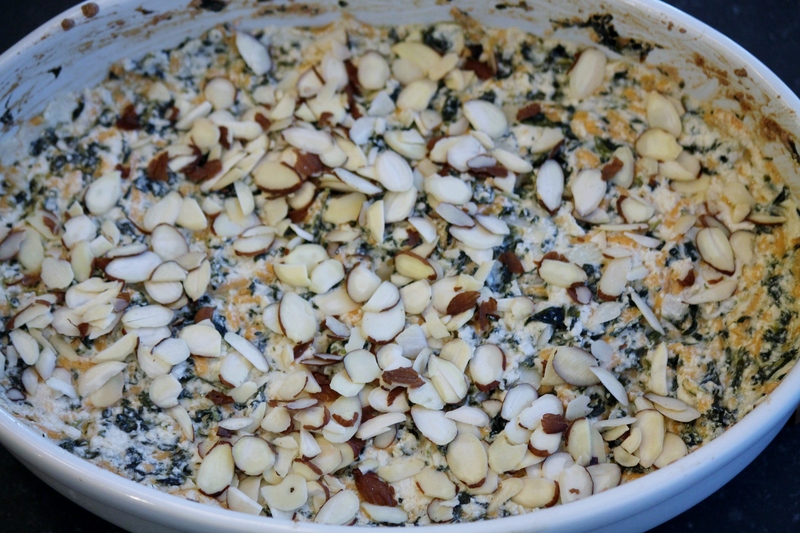 I added the spinach to give it a nutritional boost and the almonds add a nice crunch to compliment the creaminess of the dip. Even if you aren’t avoiding dairy in your diet I highly recommend giving this appetizer a try. Not only is it quick and easy but it’s a healthier alternative to some of the other creamy spreads out there. Mix all ingredients, except for the almonds in an ovenproof dish.